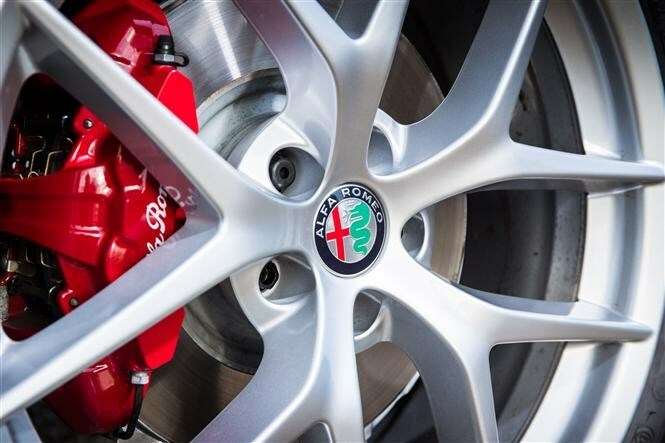 Insurance group: 29 - 50 How much is it to insure? 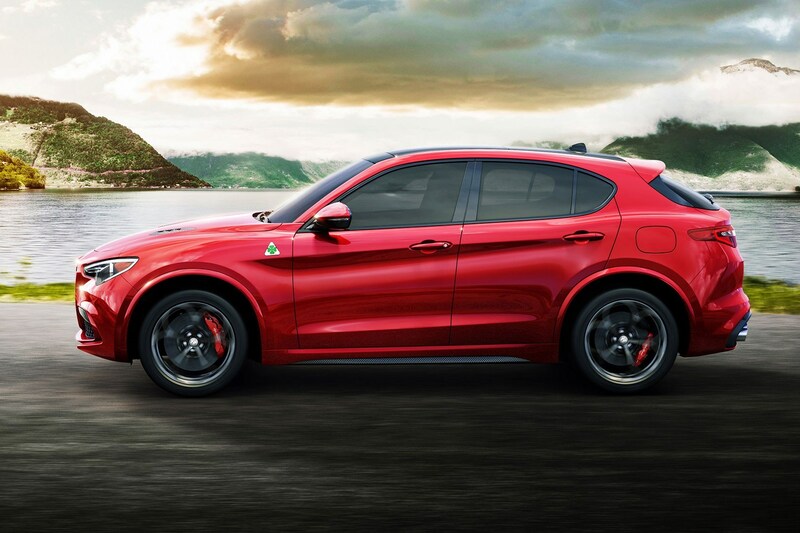 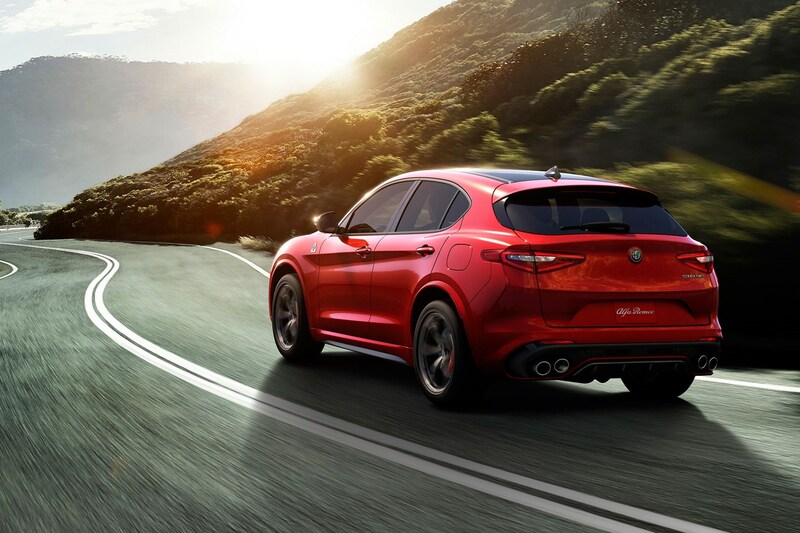 The Alfa Romeo Stelvio is the first performance SUV in the Italian carmaker’s turbulent century-long history. 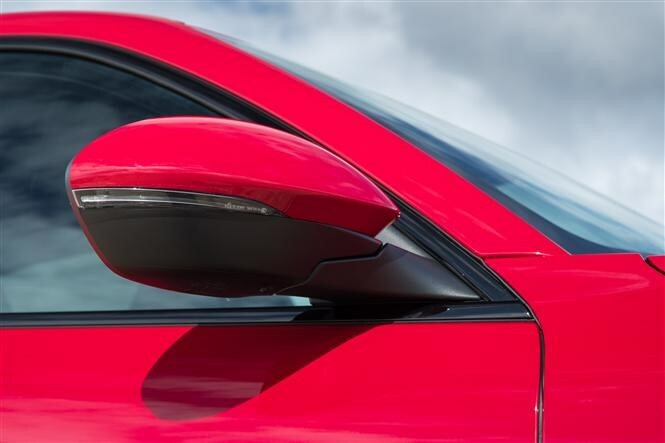 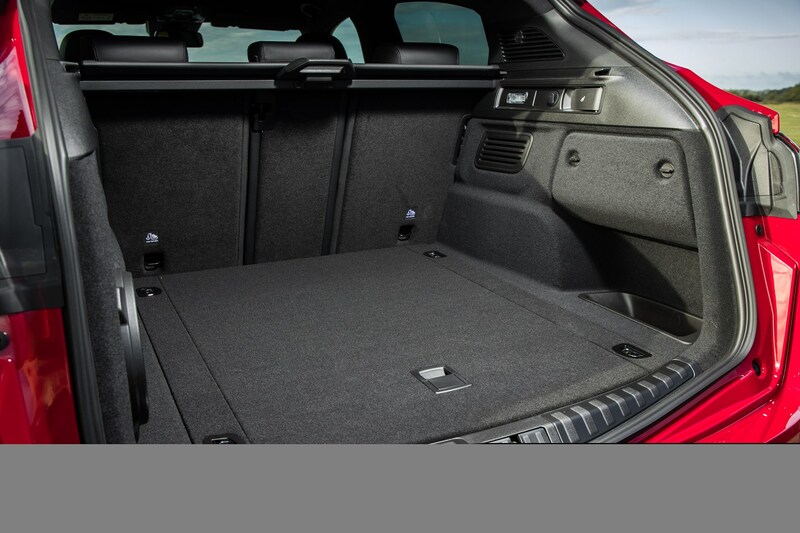 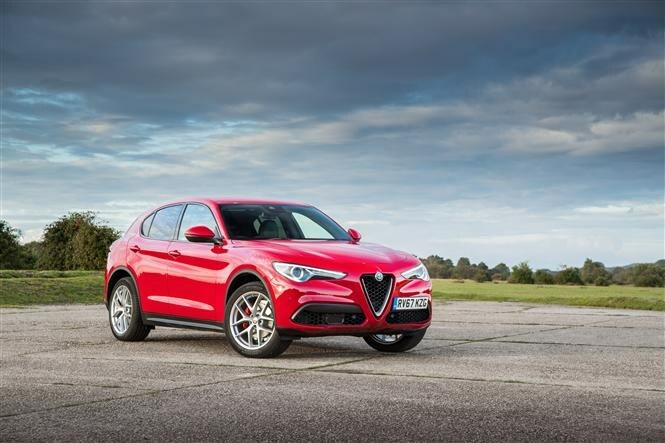 It’s based on the same platform and technology as the Alfa Romeo Giulia saloon, and it aims to bring both style and a sporting driving experience to the mid-size premium SUV segment. 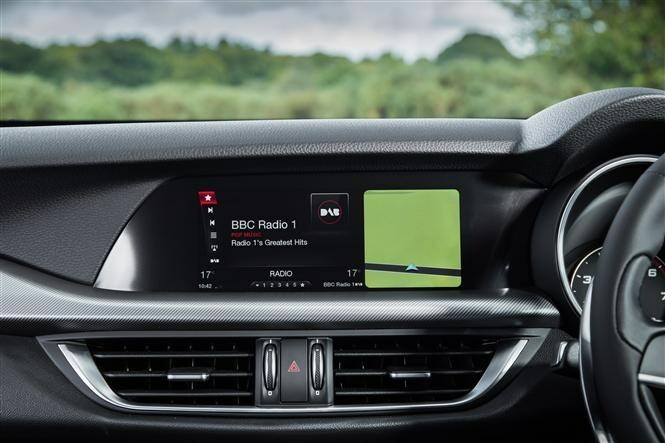 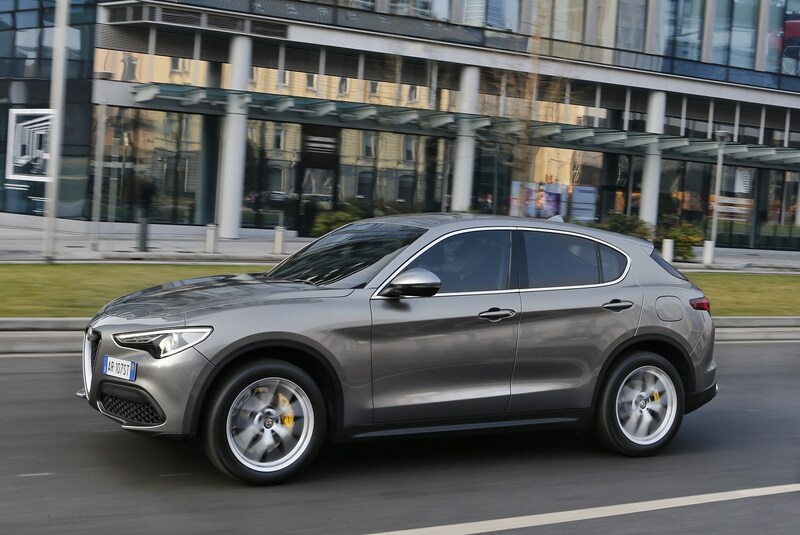 As such, its clear targets are rivals such as the Porsche Macan, Jaguar F-Pace, BMW X3 and X4 and Audi Q5 – though prospective buyers may also consider the Mercedes-Benz GLC and Lexus NX. 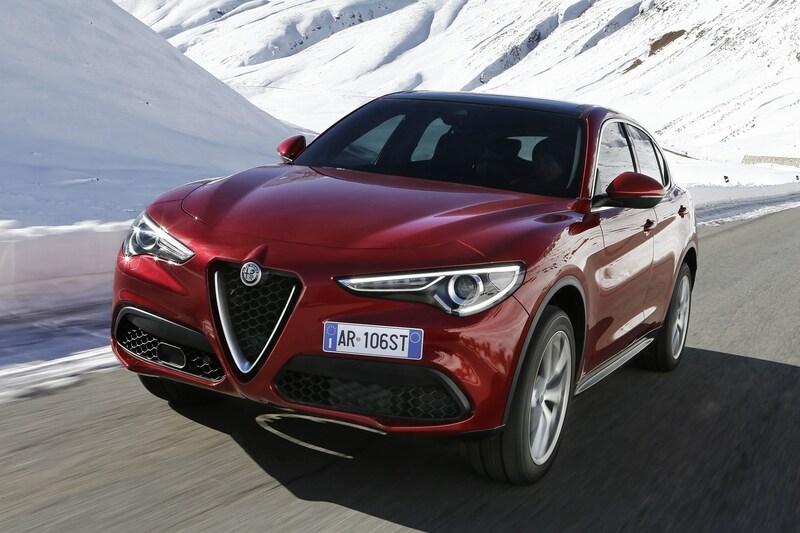 The name Stelvio comes from the one of the highest and most challenging Alpine passes of them all – a road famed for its numerous hairpin corners, which challenge, scare and reward keen drivers. 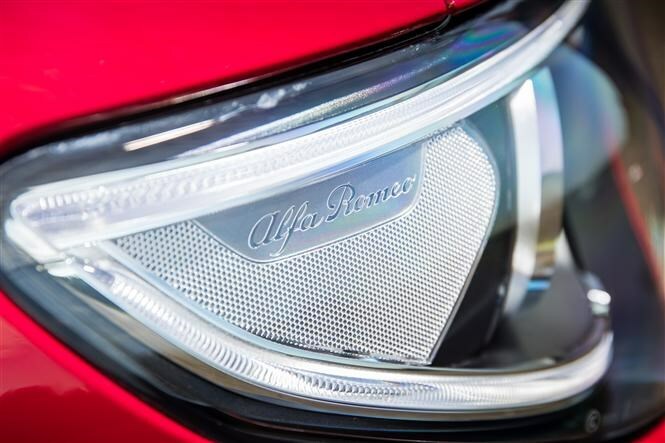 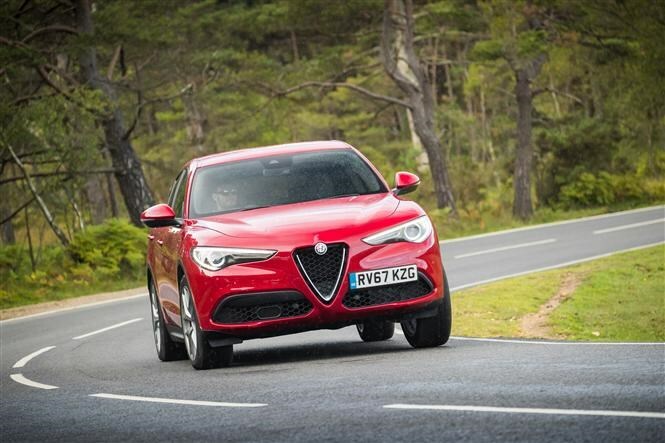 Naming it after this pass suggests that Alfa Romeo is targeting keen drivers. 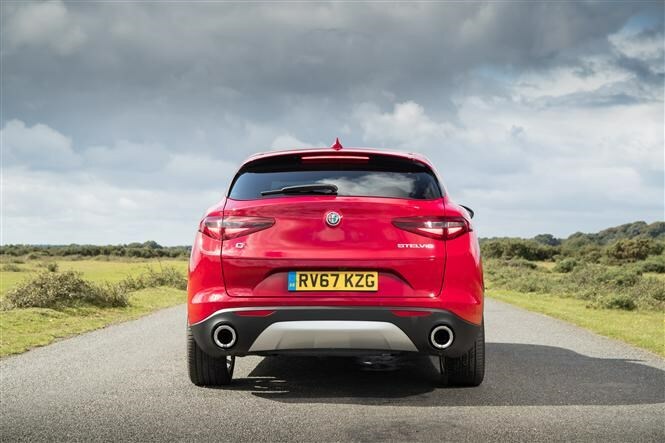 The majority of Stelvio models use Alfa’s Q4 all-wheel drive system, although the lower specification models come with rear-wheel drive. 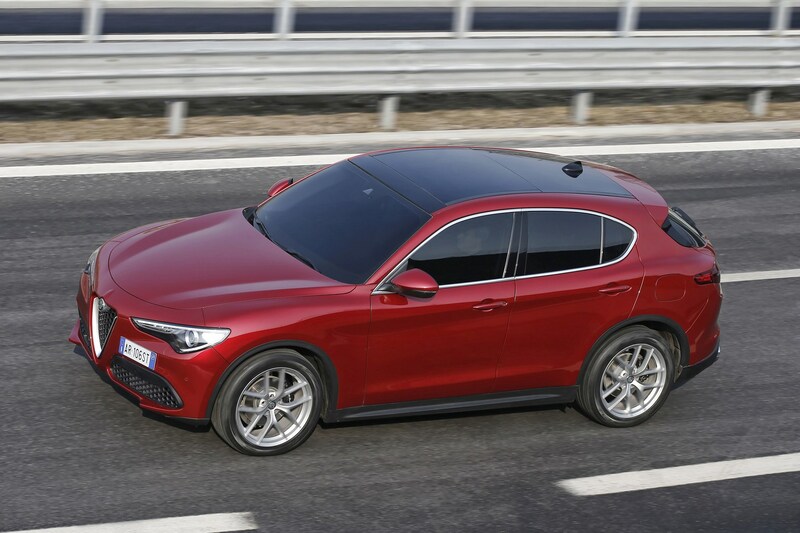 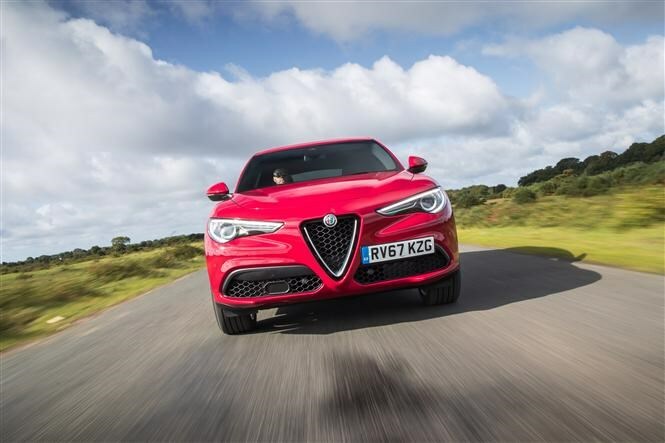 The Stelvio is currently available with five engines and four standard trim levels: the entry-level Super, followed by Nero Edizione, Speciale and Milan Edizione. 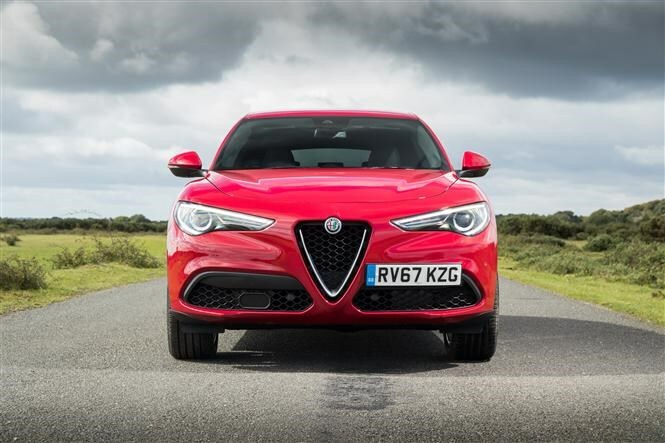 Of the engines on offer, the 2.0-litre petrol comes in 200 and 280hp form, while the 2.2-litre diesel boasts either 190 or 210hp. 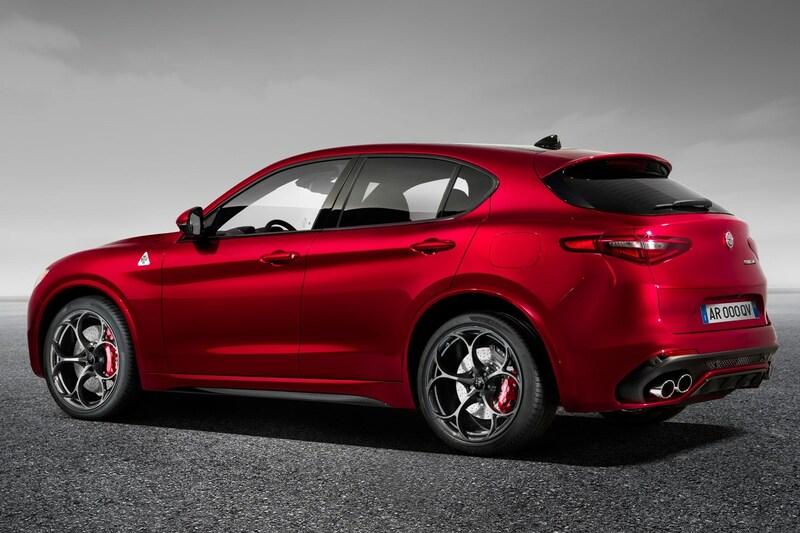 A 510hp Quadrifoglio version is also available. 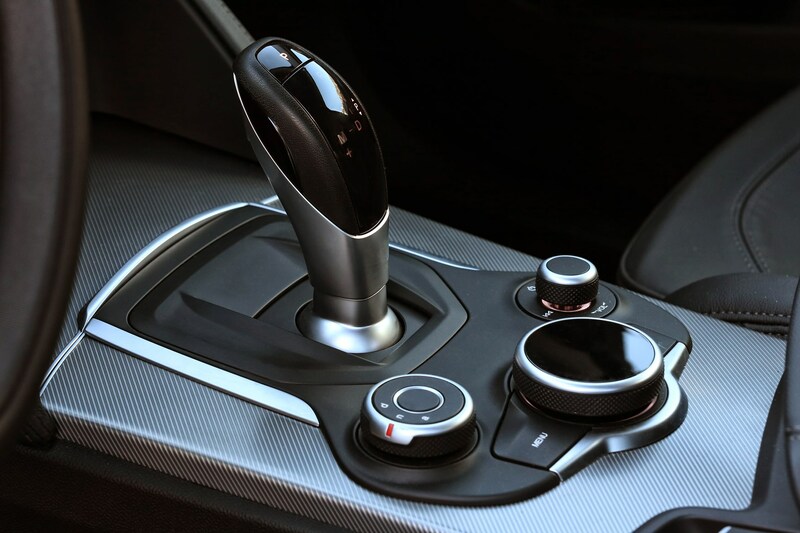 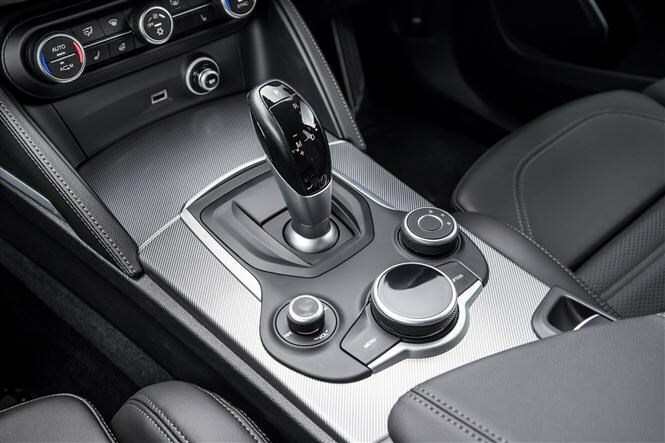 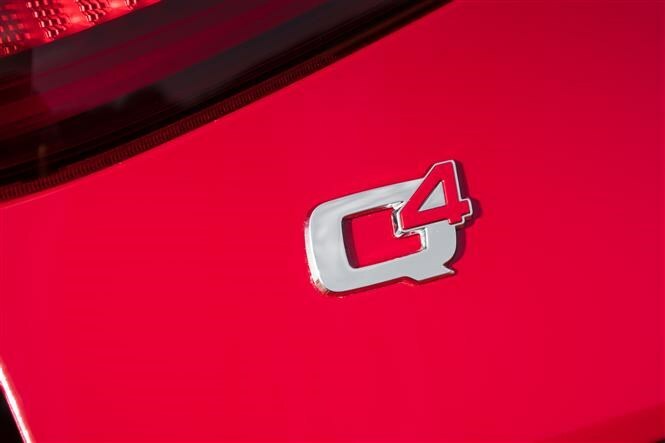 An eight-speed automatic gearbox and Q4 all-wheel drive system come as standard on all models apart from the 190hp diesel, that's rear-wheel drive.. 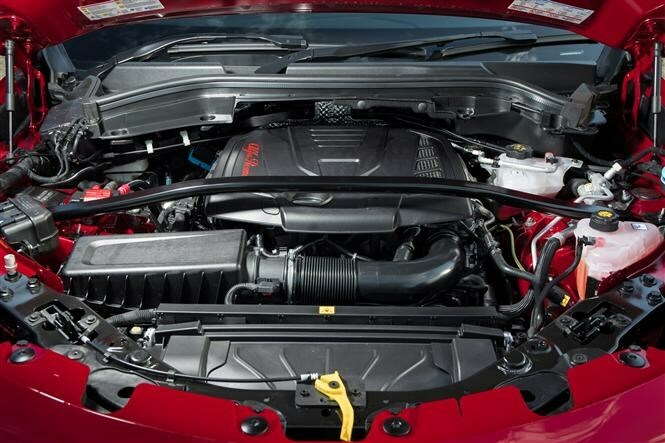 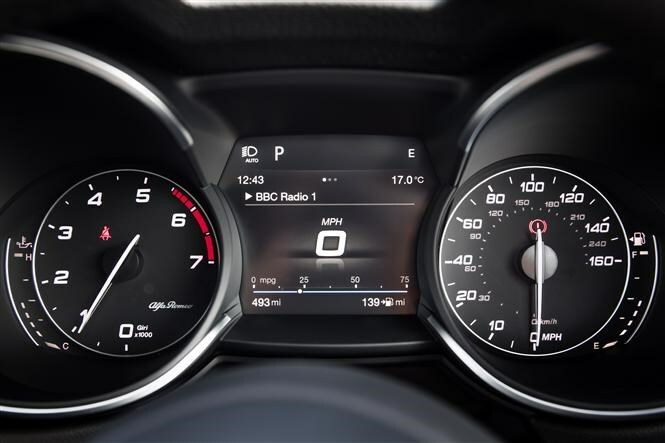 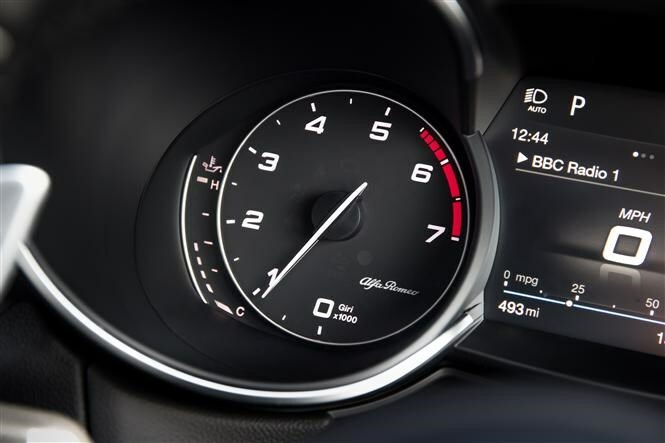 Performance is certainly brisk across the range, with all engines breaking the 8.0-second 0-62mph barrier. 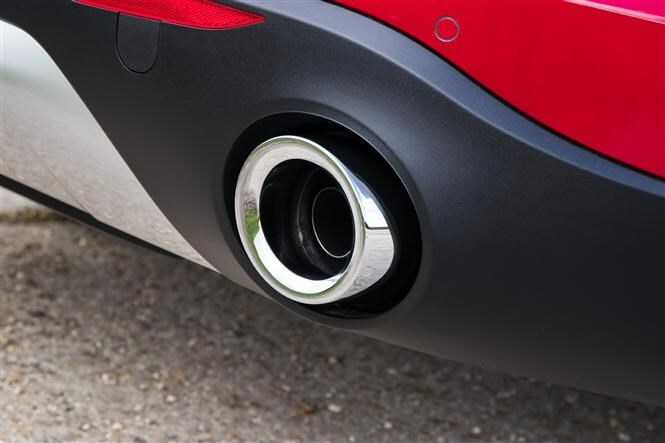 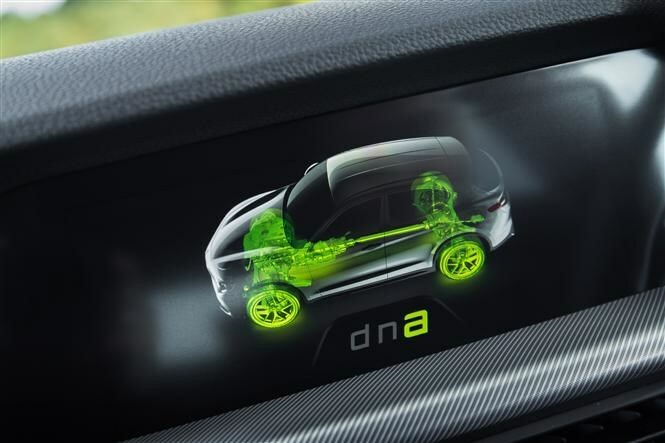 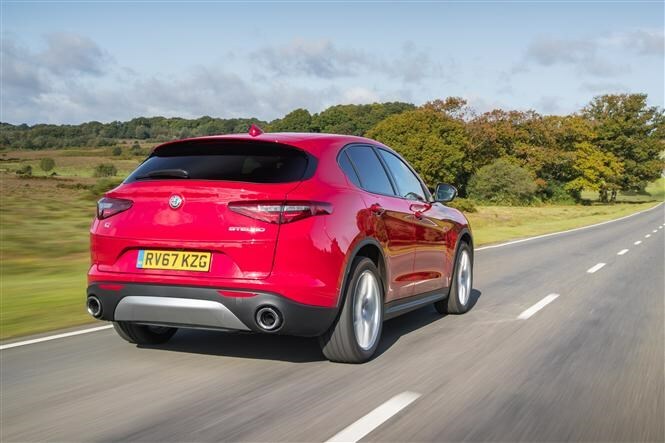 Both petrol and diesel variants are attractive options, though a narrow majority choose the additional economy of the diesel over the extra performance of the petrol. 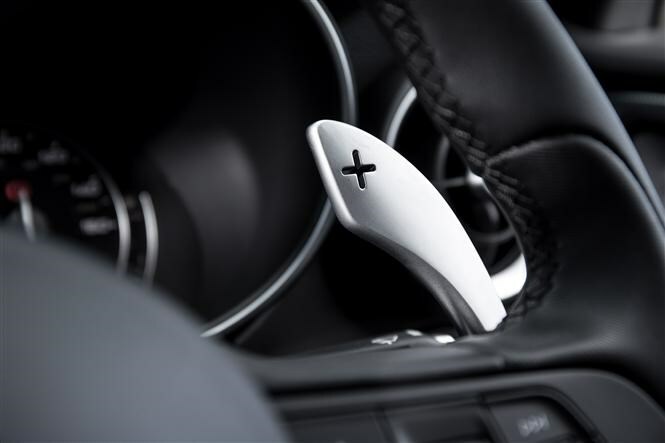 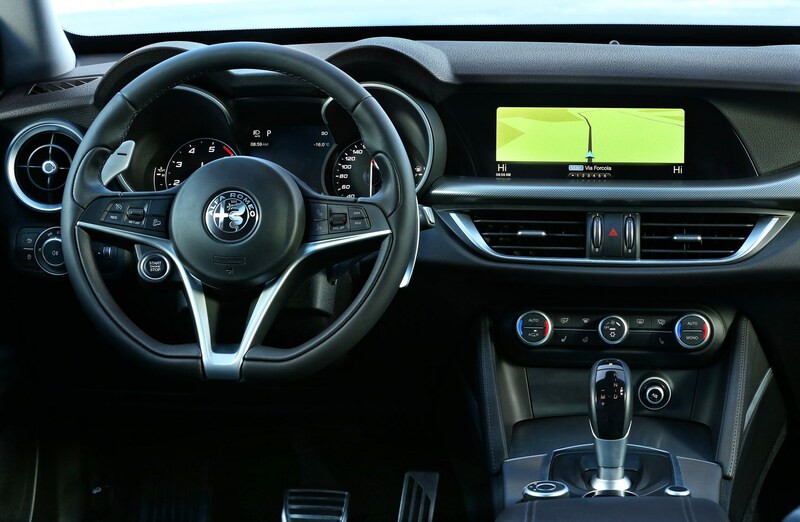 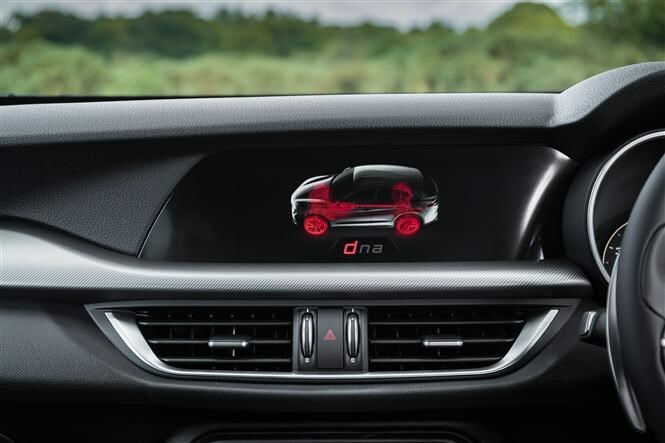 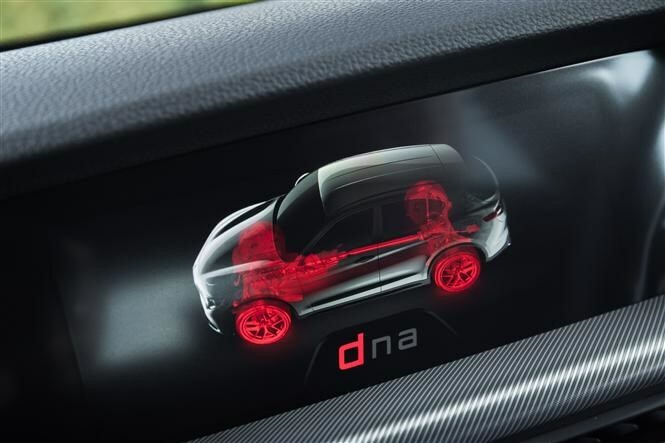 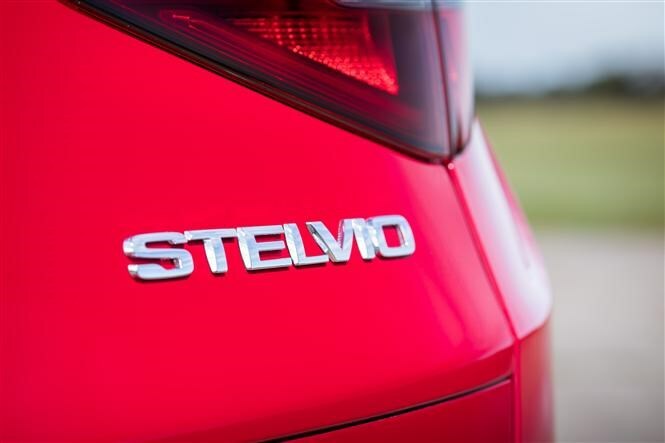 All Stelvios are generously equipped, including a number of the latest active safety technologies, as well as the DNA driving mode selector and an 8.8-inch touchscreen multimedia system. 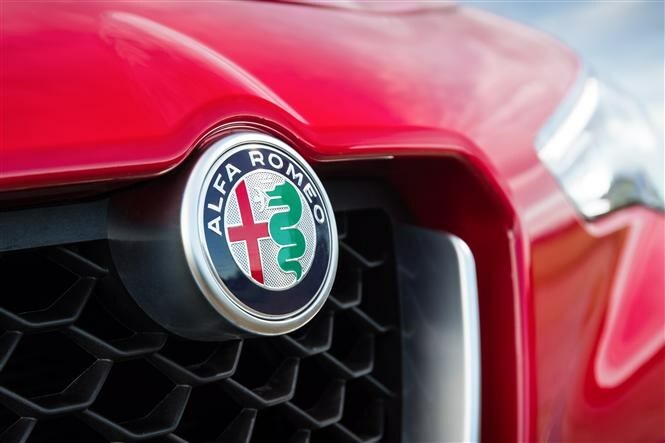 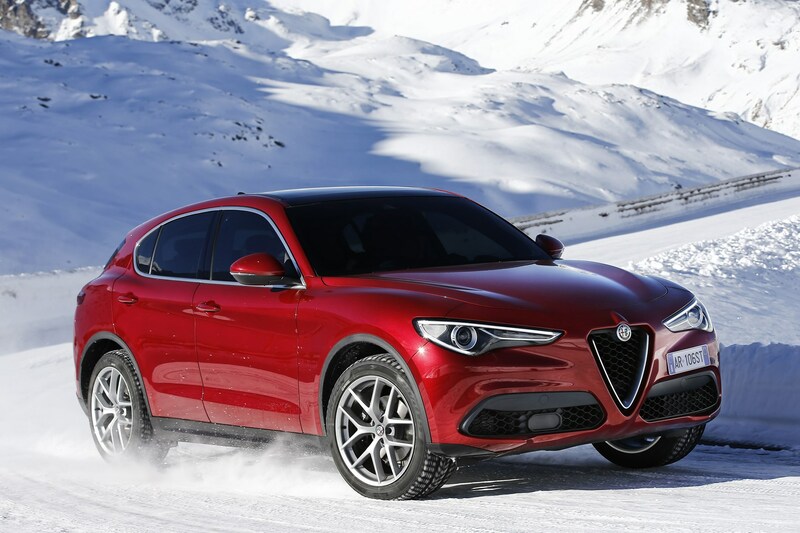 At the end of 2017, Alfa Romeo announced the range-topping Stelvio Quadrifoglio, powered by the same Ferrari-derived turbocharged V6 that’s used in the BMW M3-rivalling Giulia Quadrifoglio. 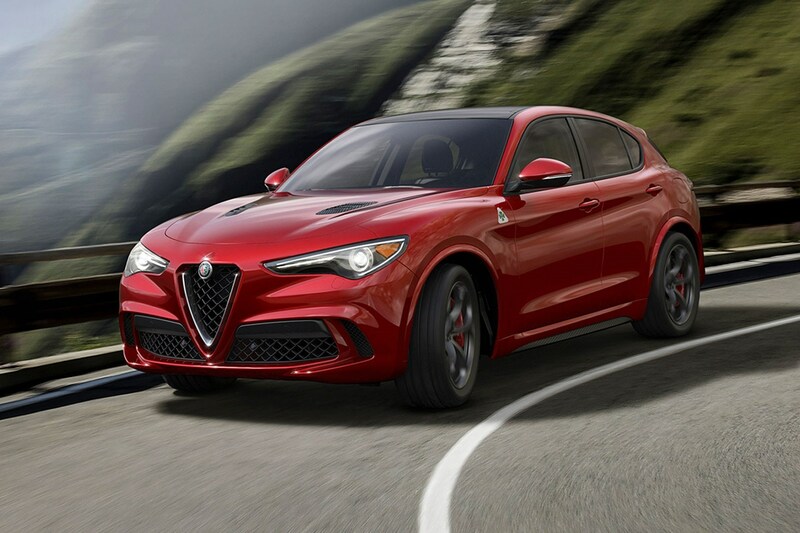 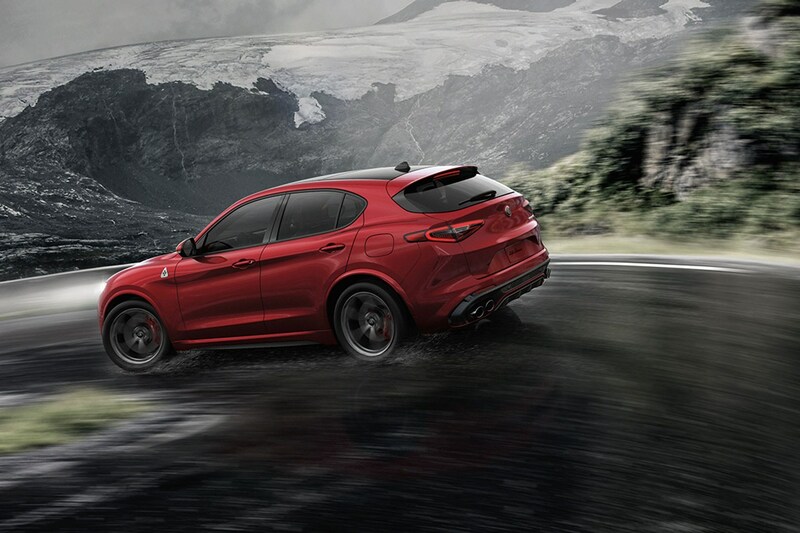 With 510hp and 600Nm of torque available, the Stelvio Quadrifoglio delivers extreme performance with a top speed of 176mph and a 0-62mph time of just 3.8 seconds. 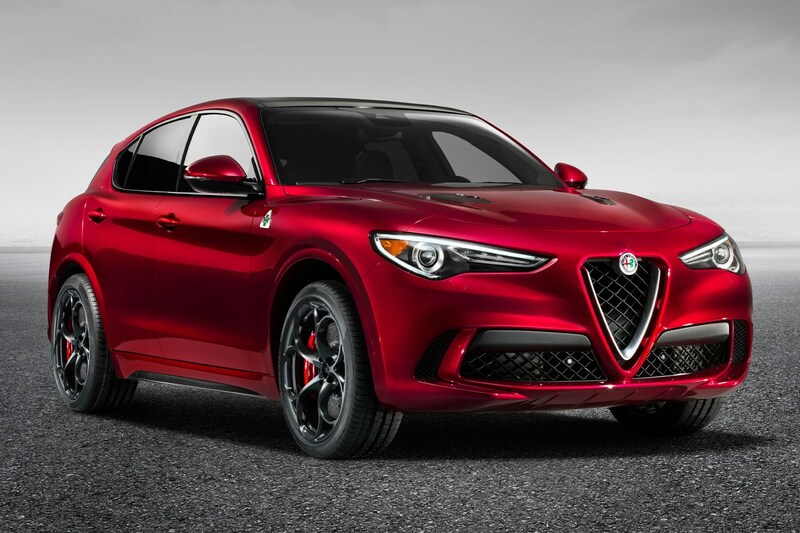 While you wouldn’t necessarily equate a car of these ungainly proportions with decent looks, Alfa’s design department has been doing what it does best, and the result is a machine that looks, well, not half bad. 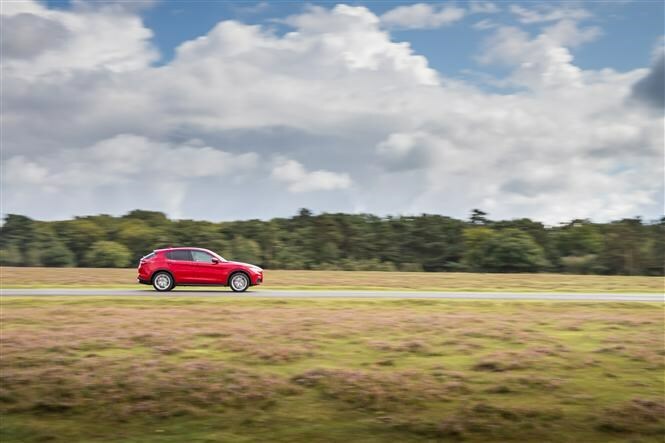 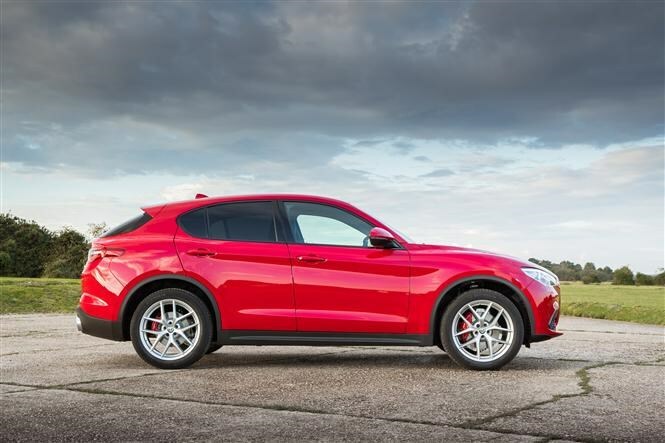 It’s certainly up there in the aesthetic arena with the Porsche Macan and Cupra Ateca – two cars we’d say are the better-looking of the SUVs on sale. 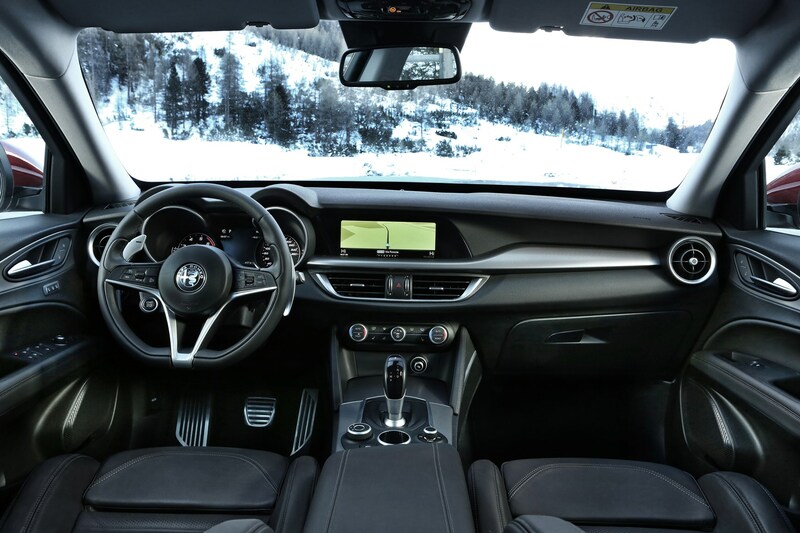 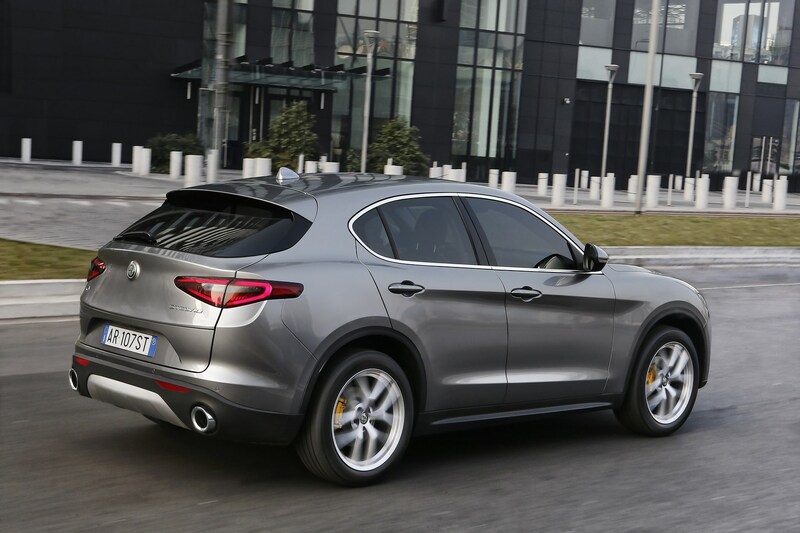 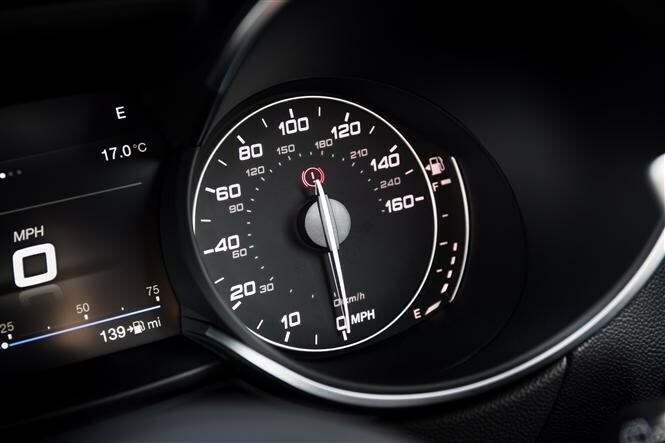 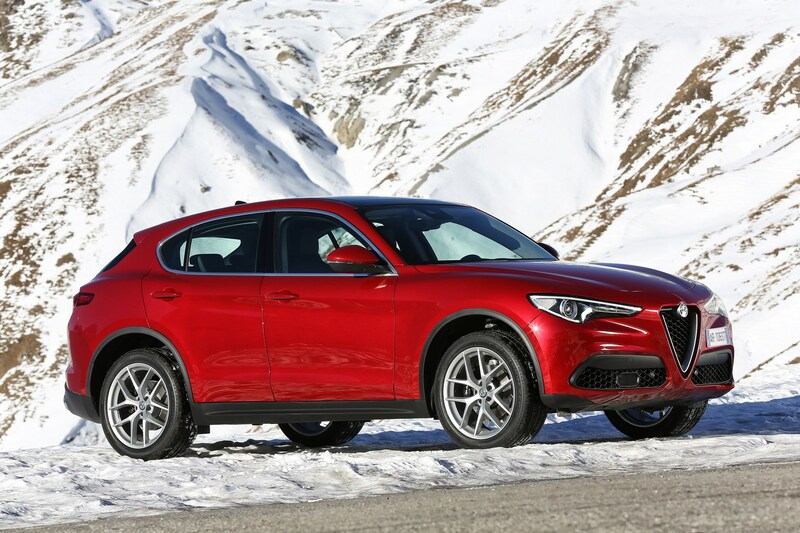 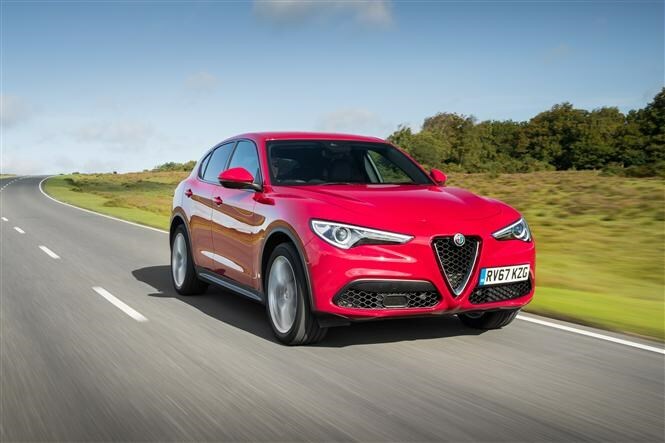 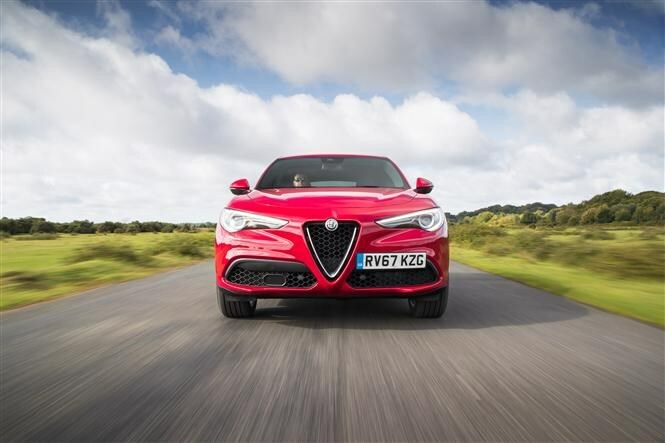 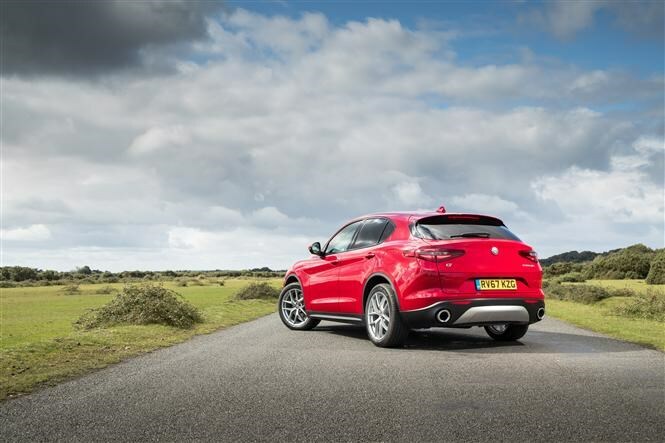 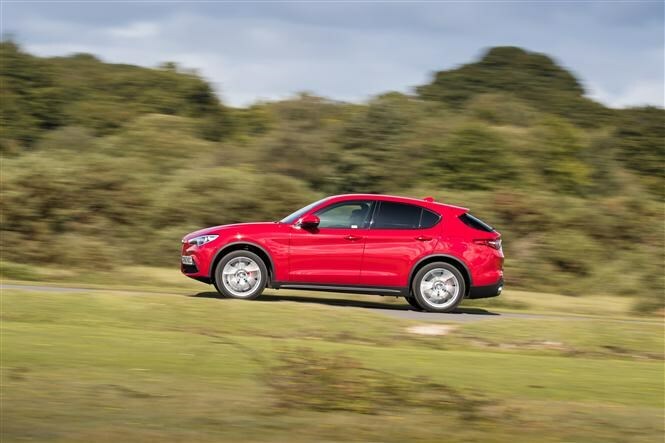 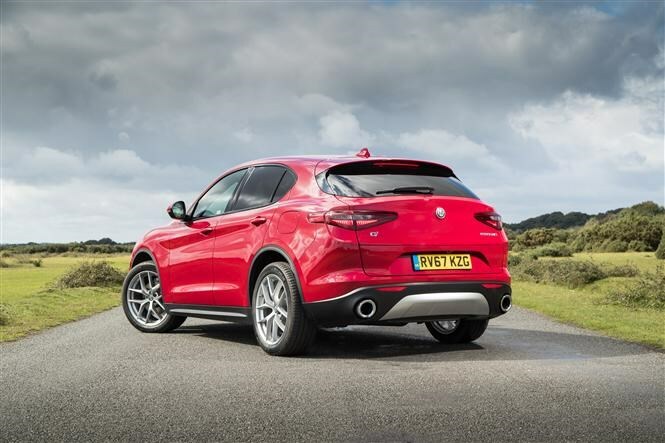 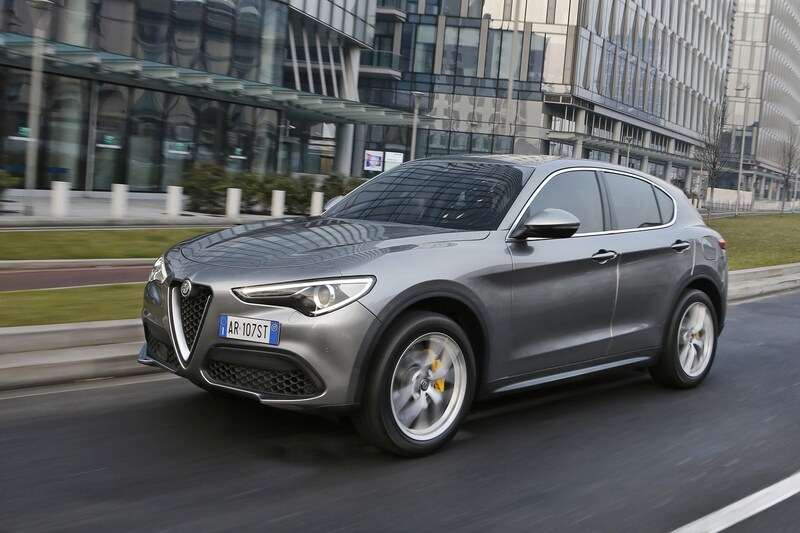 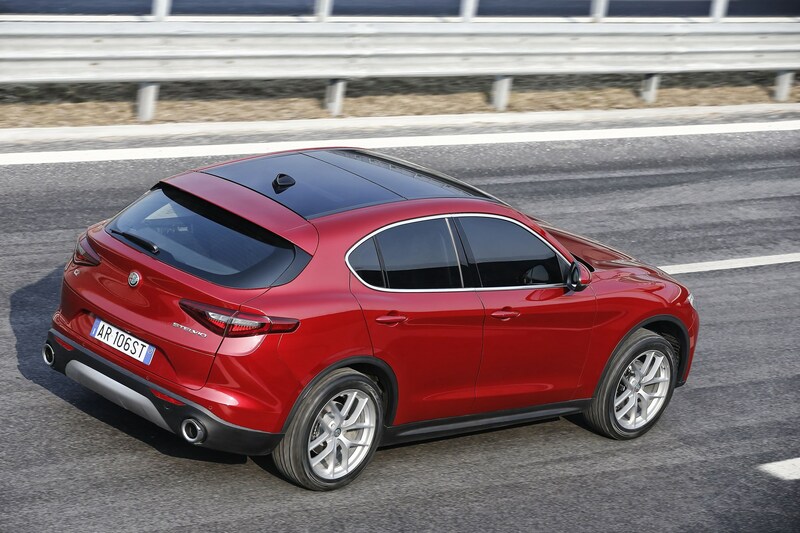 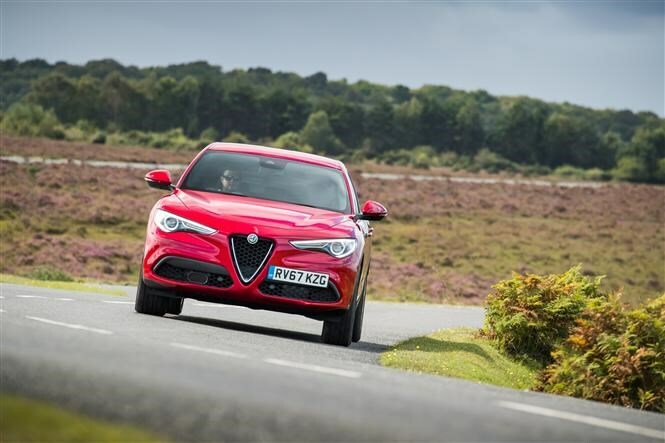 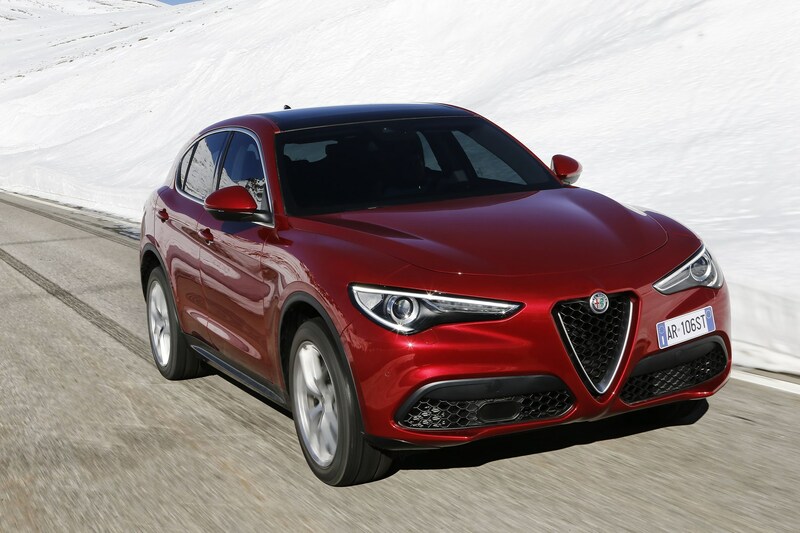 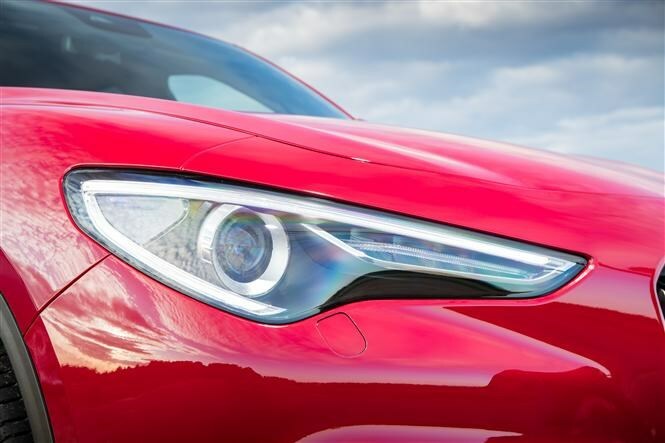 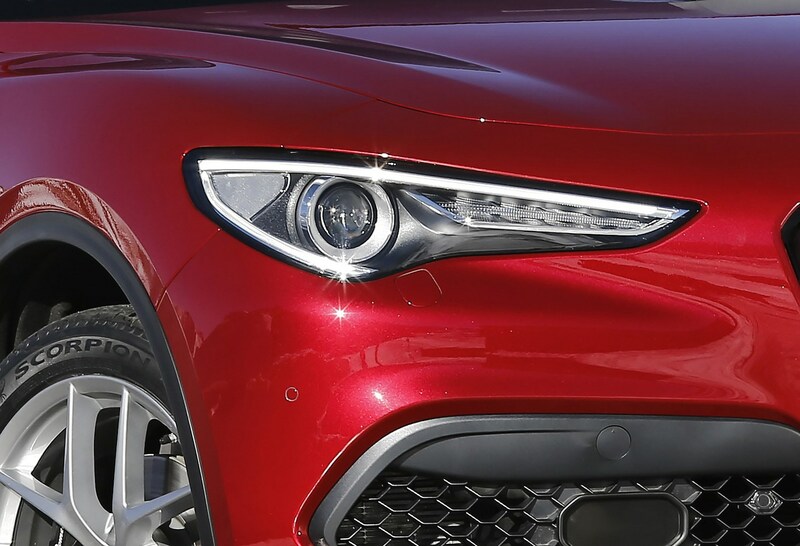 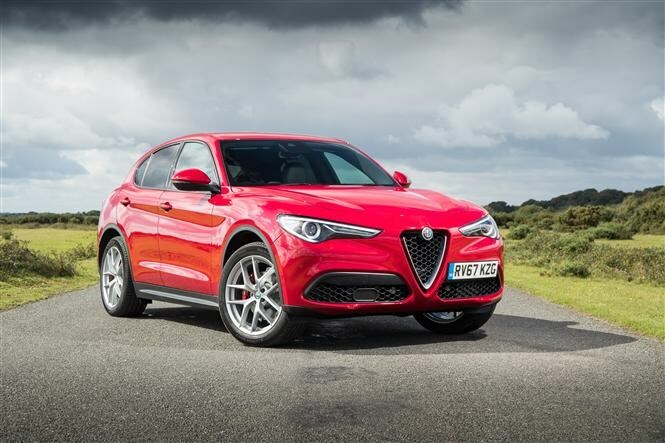 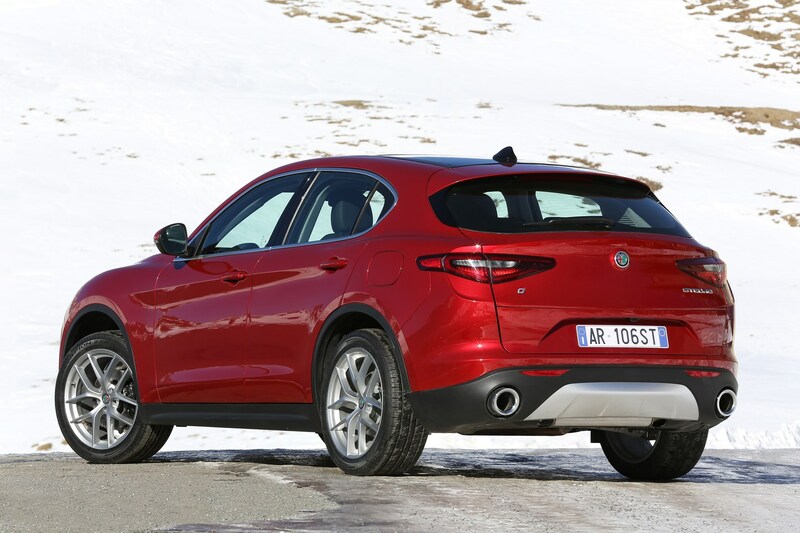 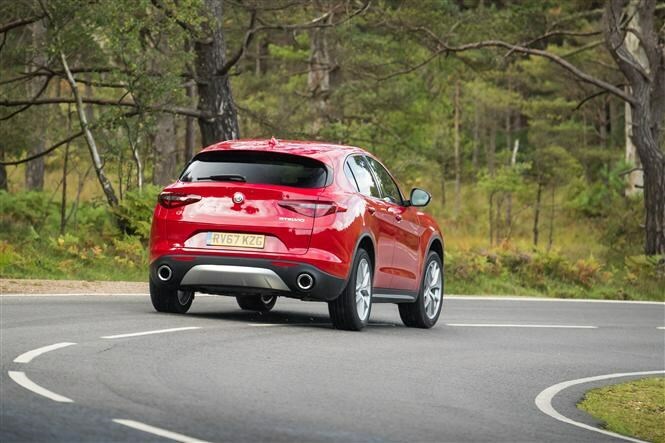 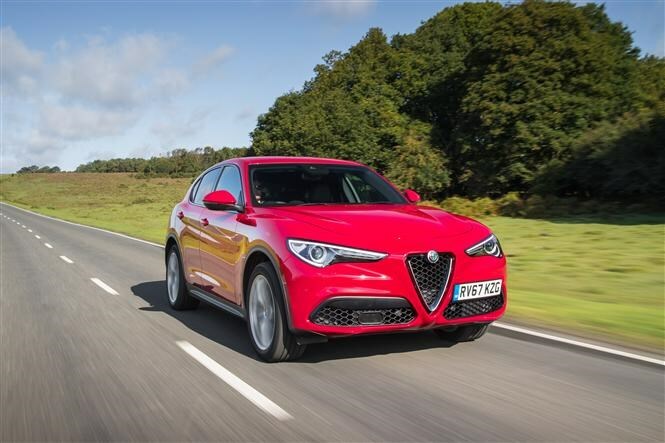 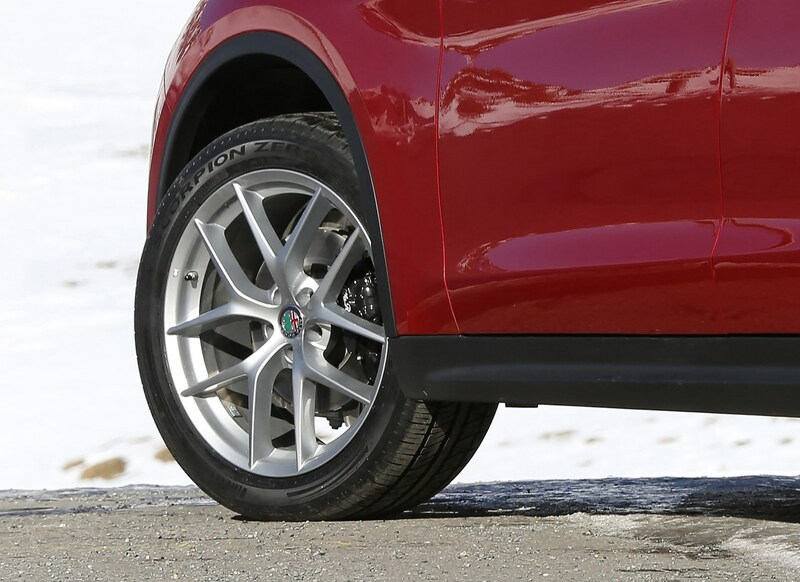 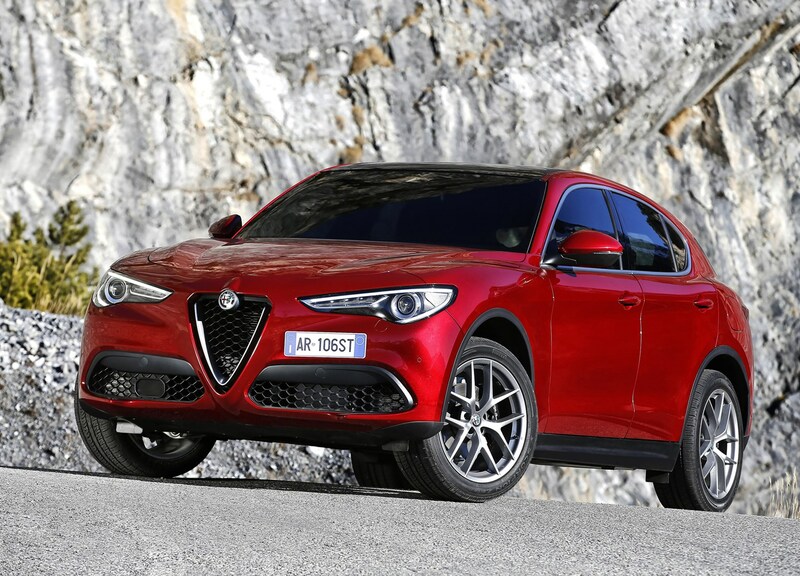 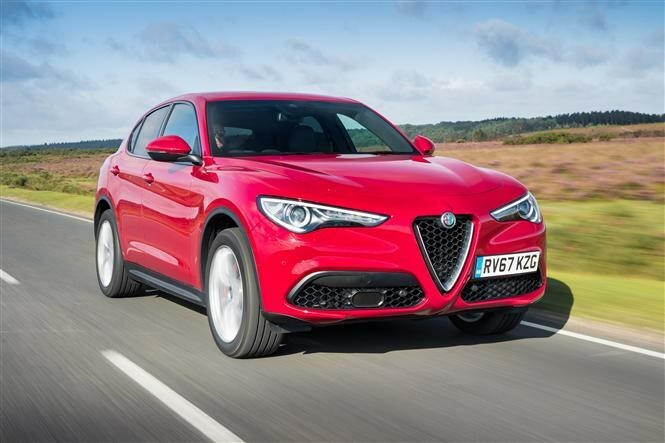 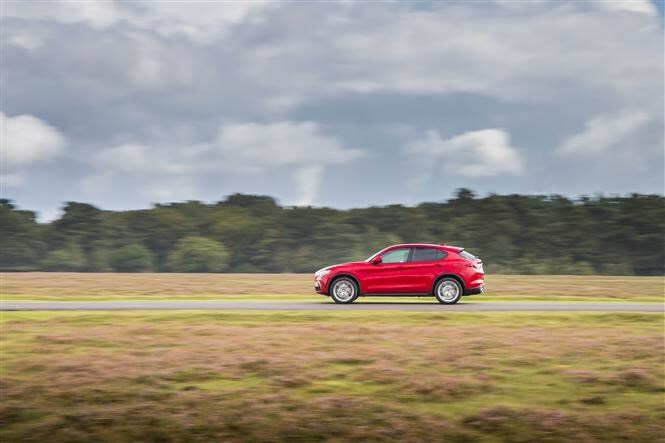 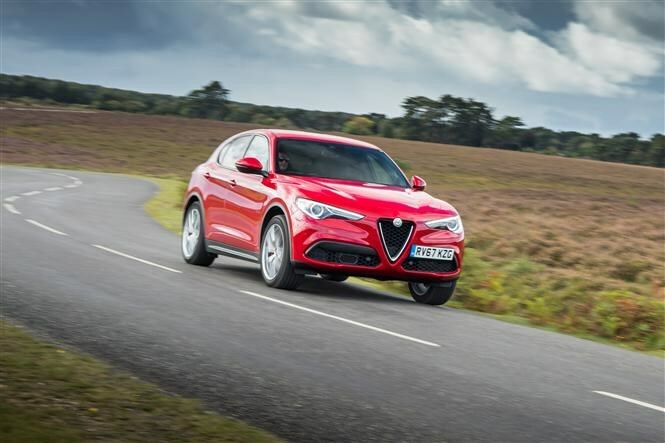 Ensuring that it handles the corners as well as the straights, Alfa Romeo has given the Stelvio particularly sharp steering – far sharper than any other SUV – and a sophisticated Alfalink suspension design. 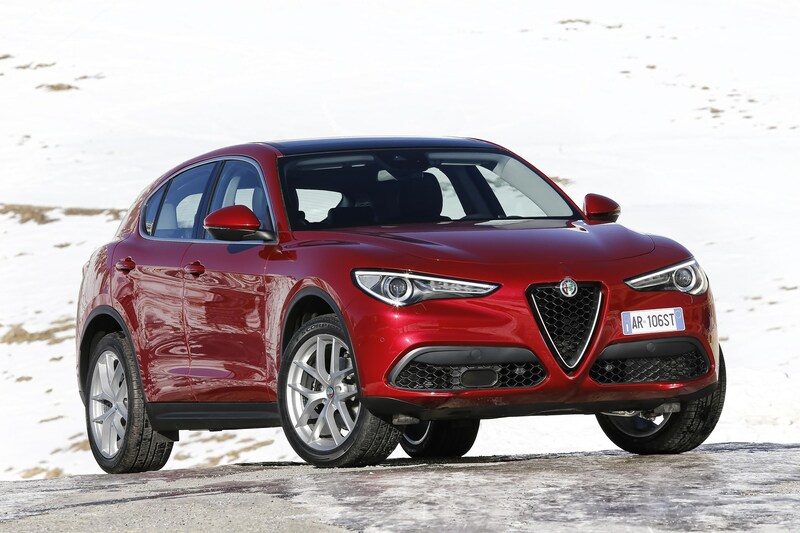 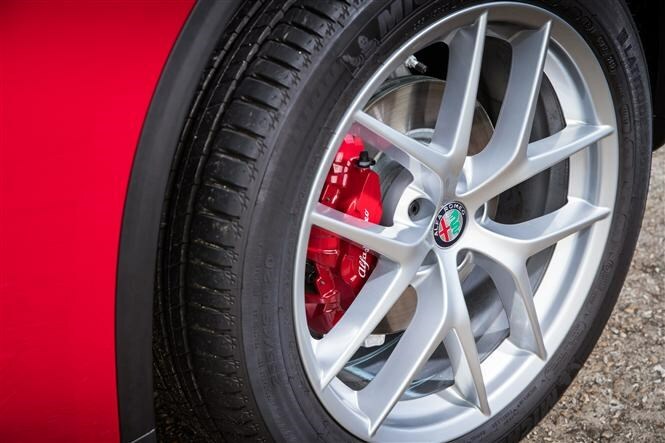 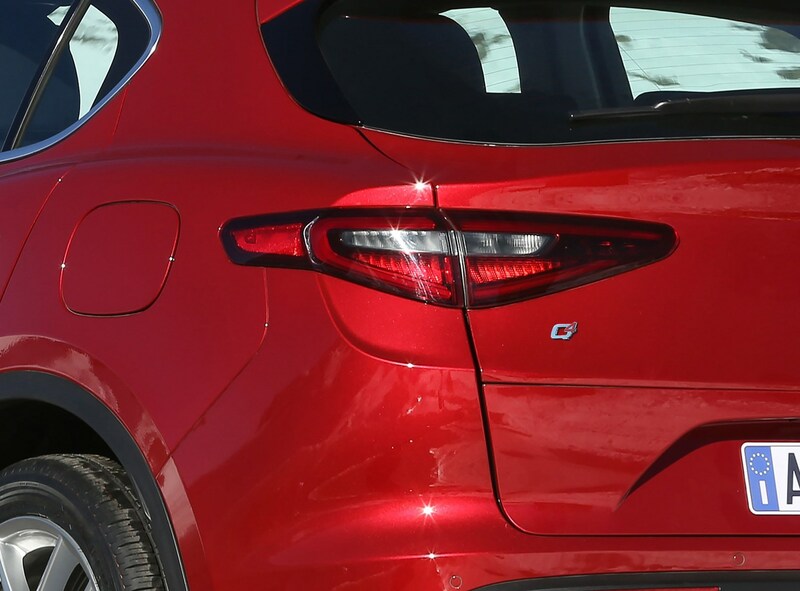 Both aspects are similar to the Giulia, but redeveloped for the extra mass and increased ride-height of an SUV. 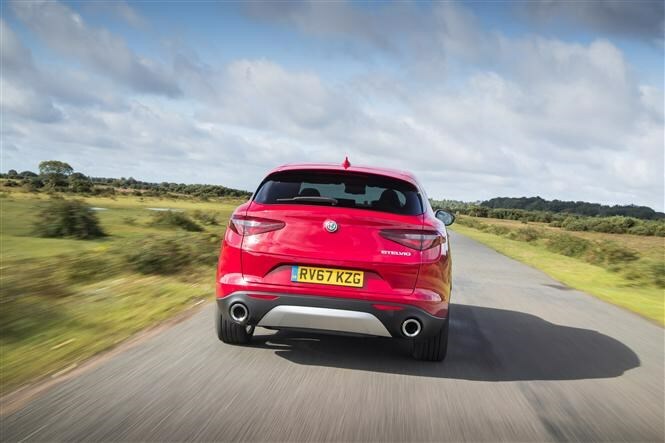 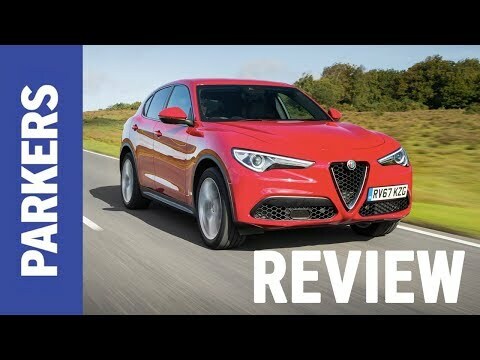 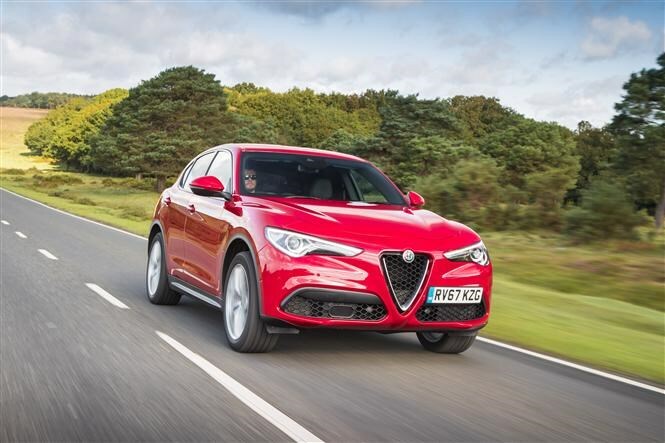 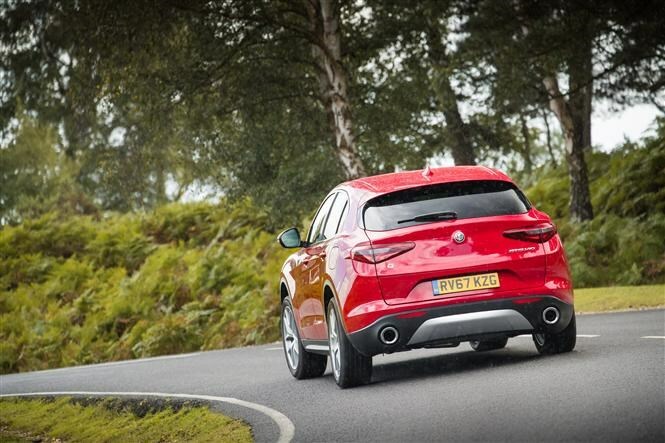 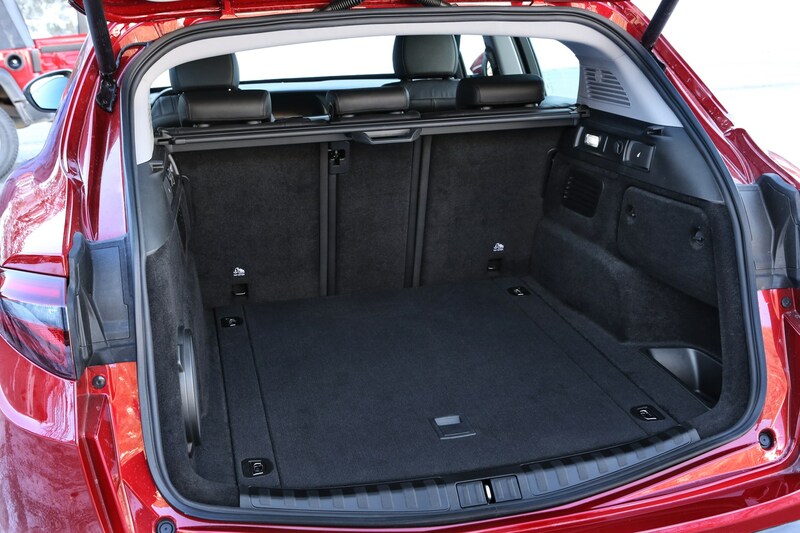 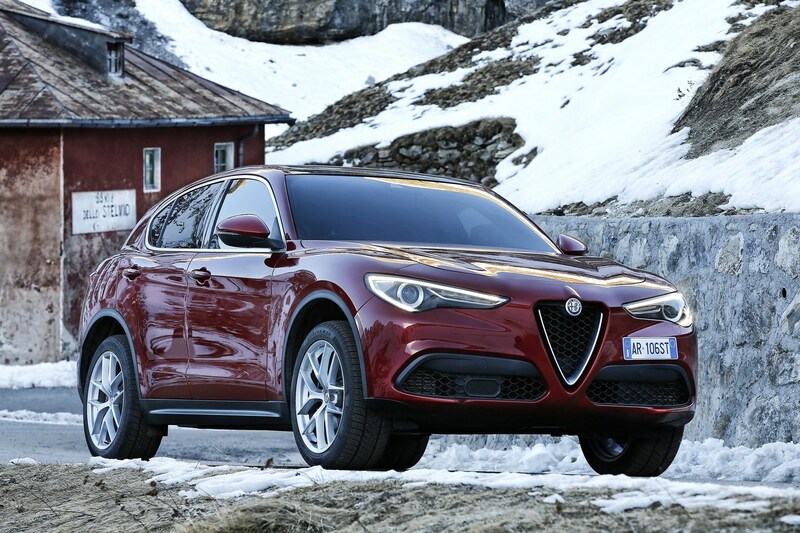 The results are impressive, as the Stelvio does a great job of resisting body roll. 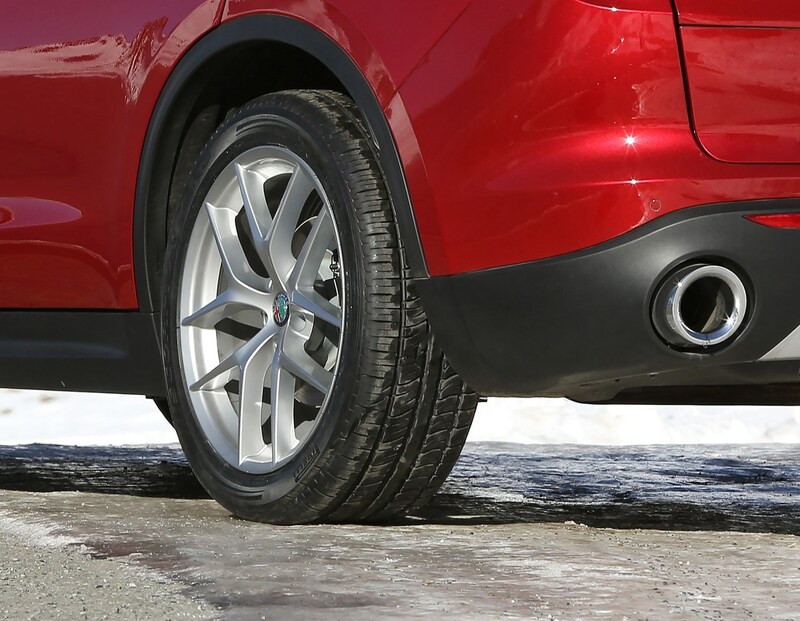 But the firmness necessary to achieve this does come at the cost of some ride comfort. 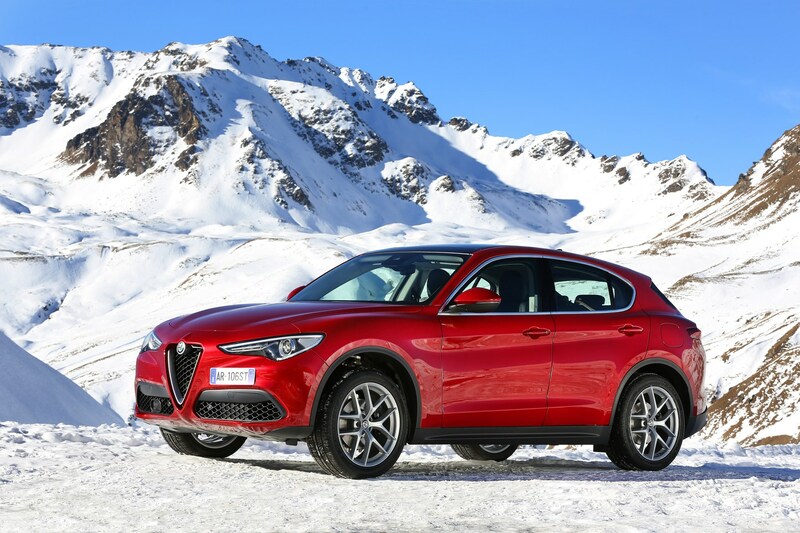 Should you buy an Alfa Romeo Stelvio? 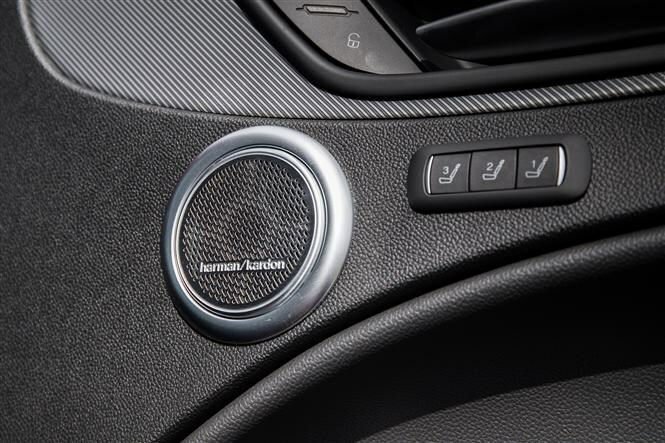 Yes, if you’re a keen driver. 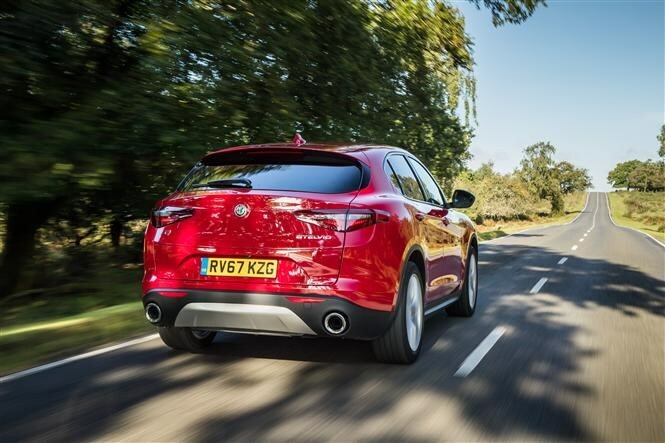 We would seriously consider choosing a Stelvio over a Jaguar F-Pace, although perhaps not over a Porsche Macan. 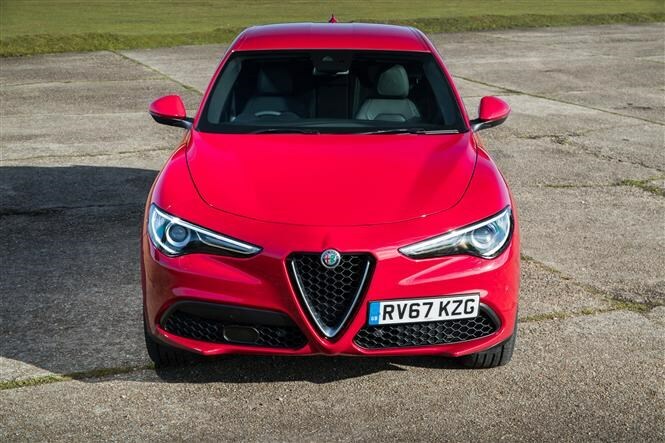 The Stelvio’s driving experience is good, but doesn’t quite get under your skin in the same way as the brilliant Porsche. 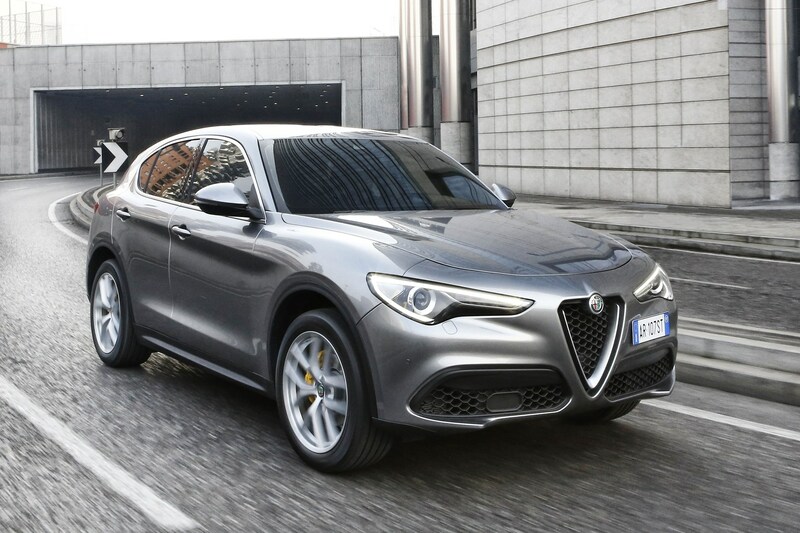 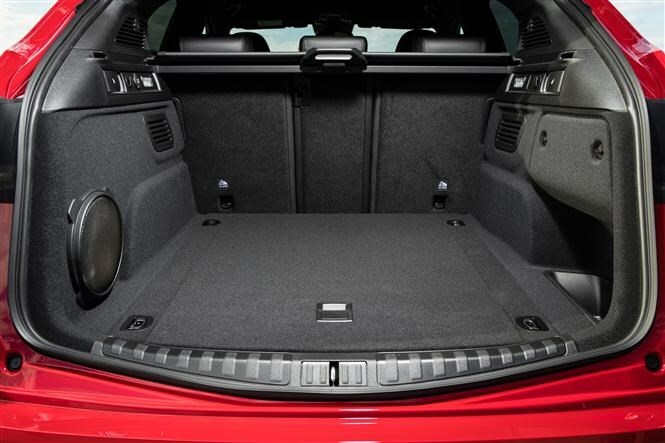 The Alfa Romeo is more practical than the Porsche, however. 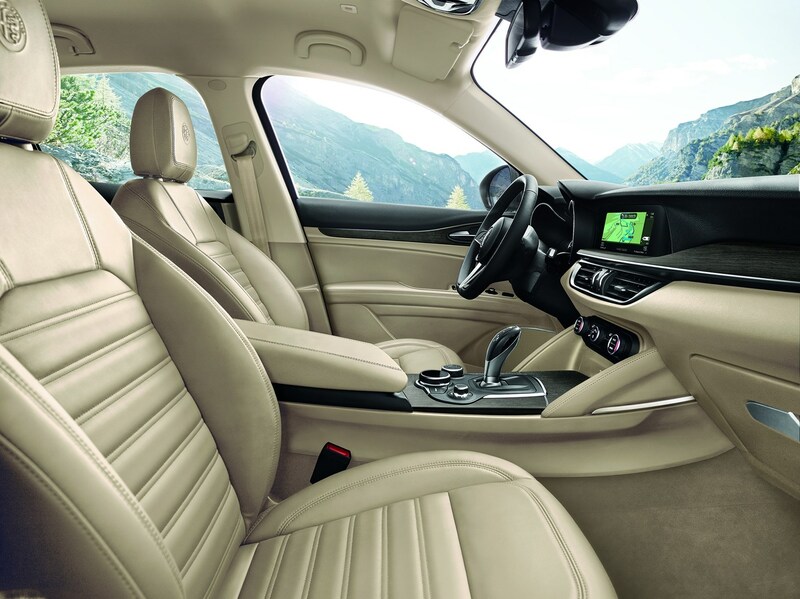 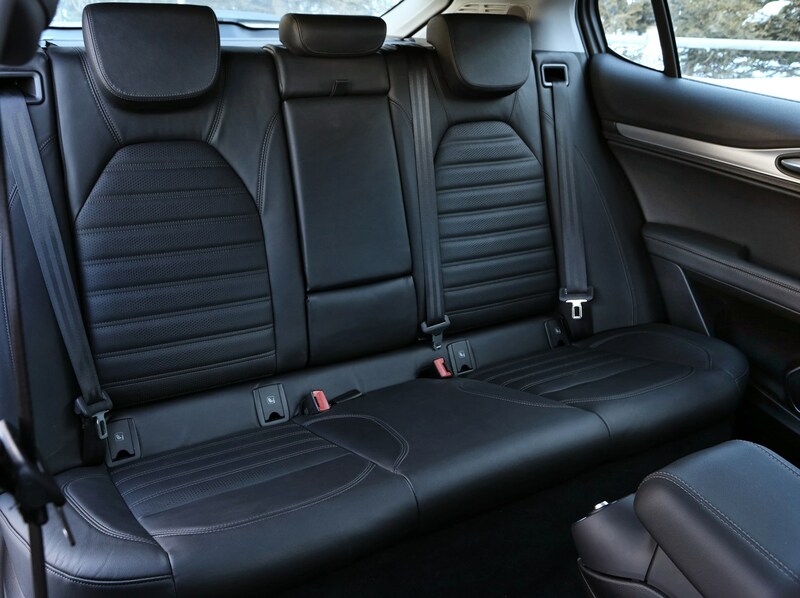 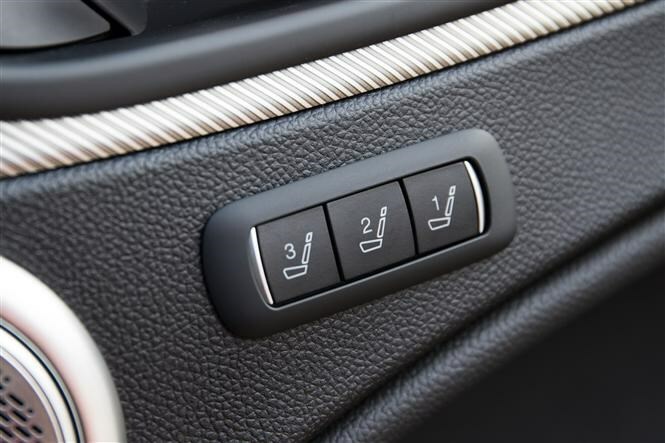 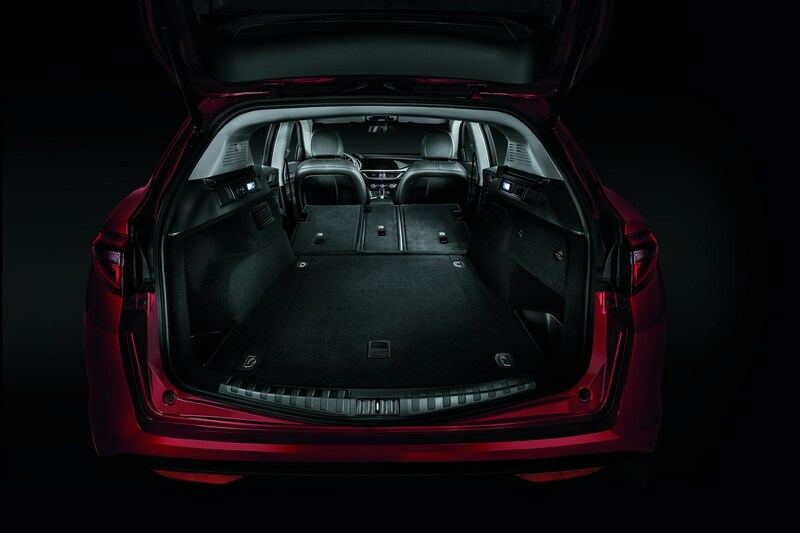 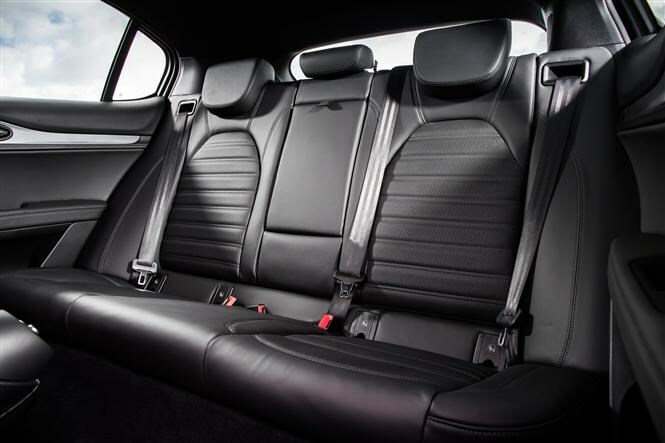 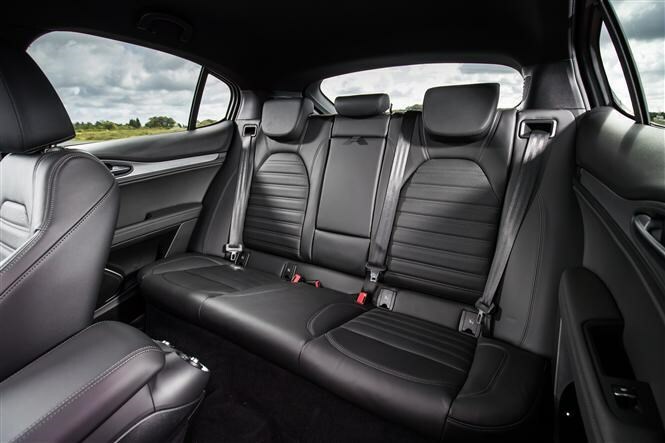 Interior quality isn’t quite up with the best in the class, and most competitors offer a greater number of high-tech options. 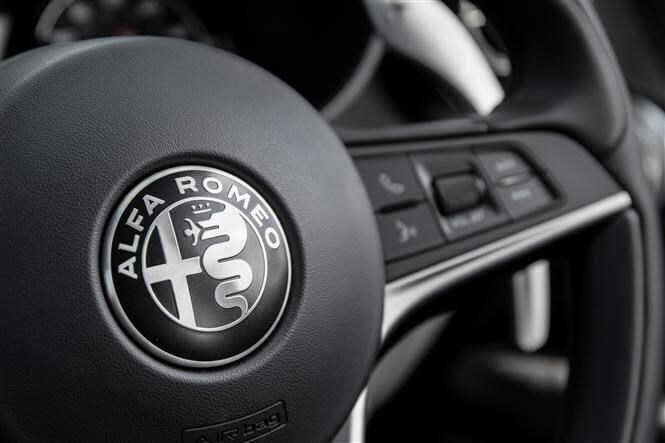 But you may find the design inside and out attractive enough to forgive this. 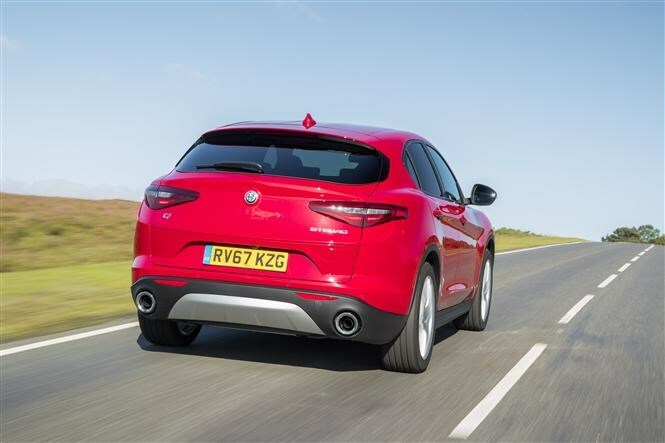 It’s a very likeable vehicle overall, with a distinctive character and plenty of performance. 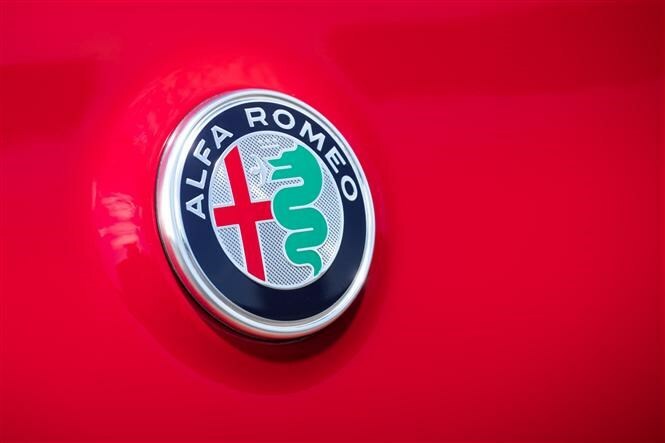 One for people who buy with their heart and not their head.